​Hillary Clinton’s electronic correspondence while at the State Department went through a personal email account administered from her family home, according to a new report. This is raising serious questions about the security of her communications. A report earlier this week revealed Mrs Clinton exclusively used a personal email address instead of a government-administered one while in office. AP said on Wednesday that the account in question has been traced back to an internet service registered to the Clinton family home. This means official and presumably highly sensitive correspondence was kept outside the reach of federal overseers. The risks of Mrs Clinton conducting official business through a previously undisclosed account go far beyond questions of whether records are obtainable. By taking matters into her own hands, Mrs Clinton deviated from government policy intended to protect correspondence from undesired third-parties, including hackers and state-sponsored eavesdroppers. New revelations about Clinton’s personal email account are continuing to complicate matters for the Democratic Party’s presumed nominee for president. The New York Times first reported on the “hdr22@clintonemail.com” email address used by Clinton while secretary of state. This immediately prompted inquiries as to why a government-sanctioned account wasn’t used. The Federal Records Act requires government employees to use departmental servers for communications. The debate intensified on Wednesday when AP published details about the account and the possible repercussions of letting the nation’s top diplomat at the time have complete control over her government communications. According to AP, by running her own email service Clinton not only lacked cyber protections that would have kept her correspondence and computer secure, but also risked mismanagement of critical State Department emails. “In most cases, individuals who operate their own email servers are technical experts or users so concerned about issues of privacy and surveillance they take matters into their own hands. It was not immediately clear exactly where Clinton ran that computer system,” they wrote. Josh Earnest, a spokesperson for the White House, said the administration has provided “very specific guidance” about using official email accounts for official government business. “However, when there are situations where personal email accounts are used, it is important for those records to be preserved, consistent with the Federal Records Act,” he said. By operating her own server, Clinton may have been able to take advantage of “additional legal opportunities to block government or private subpoenas in criminal, administrative or civil cases because her lawyers could object in court before being forced to turn over any emails,” the AP journalists said. 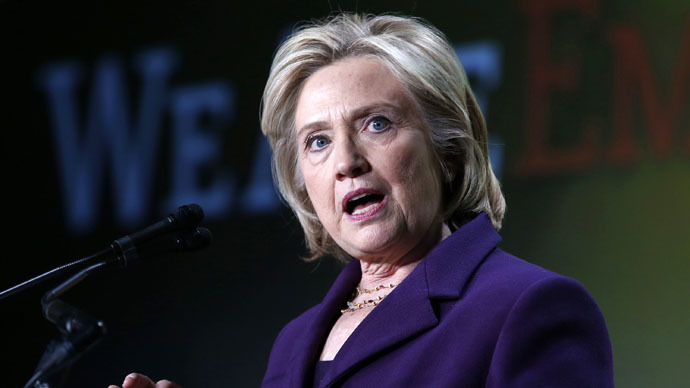 Although Clinton has not formally announced plans to run for president in 2016, she is largely expected to vie for the nomination and has subsequently attracted the scorn of leading Republicans looking to restore a GOP White House. Republican opponents have pounced on Mrs Clinton’s increasingly headline-making email account. It adds to the party’s outrage already fueled by the democrat’s perceived role in the attacks on a United States consulate in Benghazi, Libya, during her tenure as secretary. "The focus here really needs to be on the information-security piece," Chris Soghoian, the principal technologist for the American Civil Liberties Union, said in a National Journal report this week. "It's irresponsible to use a private email account when you are the head of an agency that is going to be targeted by foreign intelligence services." Later on Wednesday, the Post reported that lawmakers in the House plan to subpoena Clinton's personal emails regarding the Benghazi attack.